After seeing this, you obviously want one yourself. 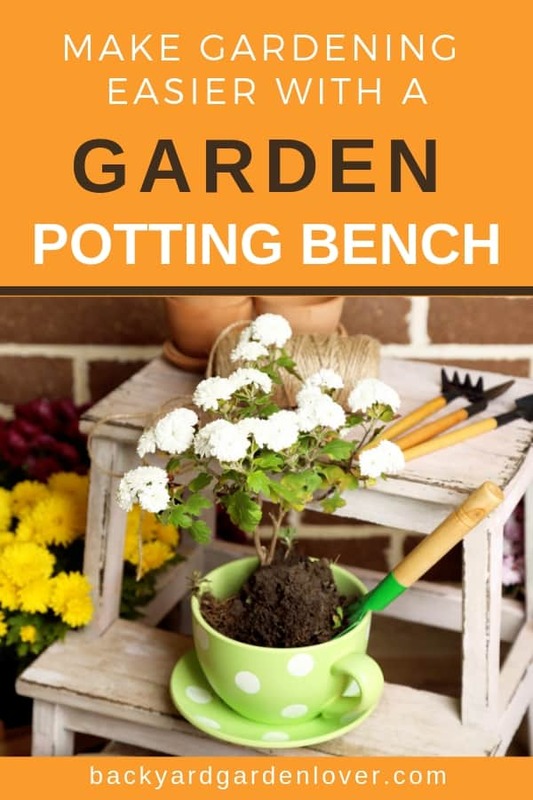 Here are a few ideas to help you get a fun and convenient potting bench for your garden. 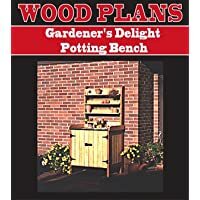 If you don’t like tinkering with wood, nails and plans, or don’t have the time to do it, you can find potting benches for sale in many places: Home Depot, Loews, Walmart, and many other local stores or garden centers. You can also buy them online from stores like Amazon and Wayfair. 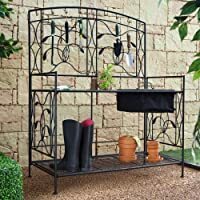 If you decide to build your own, you’ll need to get the right materials, some tools and some potting bench plans. 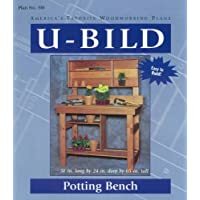 While you might be able to build a gardening bench out of other materials, (like plastic resin, steel, aluminum and even bricks), most garden potting benches are made from wood. 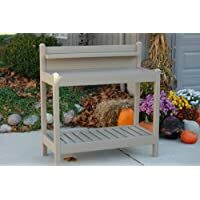 A cedar potting bench will cast a nice rustic appearance as it ages. It’s also very durable and you’ll never have to use any harsh stains or chemicals to keep them from rotting. 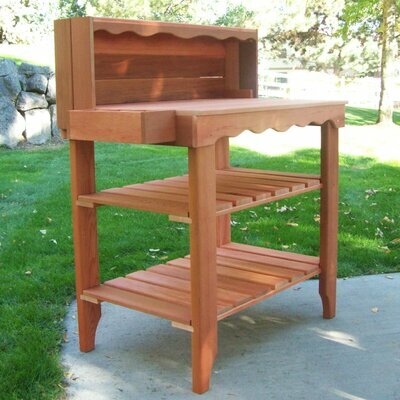 Unless you’re a handyman, you’ll probably want plans to build your potting bench. You can find some simple ones free if you search online. Or, if you want more features, you can buy plans or rent a book containing them from your local library. Then again if you’re planning other garden furniture you may just want to buy the book. 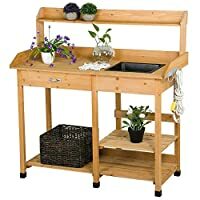 Most potting benches you’ve seen are probably simple desks with perhaps a drawer and shelving underneath. That’s fine if you simply want to transplant, re-pot, and store a few supplies. But you have many more options! 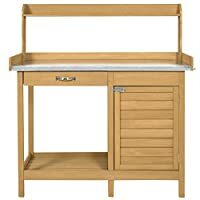 Your potting bench can be multipurpose: potting bench on one side, cold frame on the other. 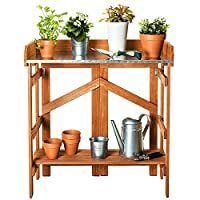 Or if you’re adding shelves above the desk area, a small garden tool shed can be put behind which opens to either side, leaving space for mounting against walls. No matter if you are a vegetable or flower gardener, a potter’s bench makes gardening so much easier! 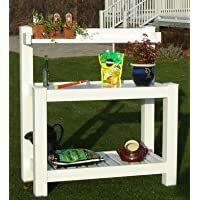 The bench gets you off your knees and onto your feet making planting and potting your precious plants much easier. Not only that, it also helps to save wear and tear on your back because you no longer have to bend down to do your gardening. That’s good news for many people who can no longer garden because of a bad back. 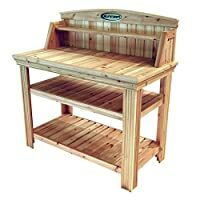 Potting benches come with different accessories making it easy to find one that’s perfect for your gardening needs. For instance, some come with a soil box attached making potting your new plants easy and convenient. 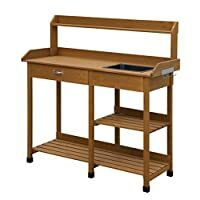 Others come with convenient boxes and trays for holding all your seeds, and potting accessories, while others have extra shelving for holding small pots or tools. Potter’s benches just aren’t for work though. They’re also very stylish and will enhance any lawn or garden. You can find a pottery bench to match just about any style or taste. 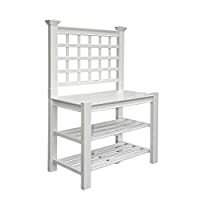 Benches are made from durable materials like white PVC, which will look great with a white railed deck, porch or fence. Cedar pottery benches look great in woodsy settings and other styles come in natural wood sprayed with the perfect color to match any home or taste. You can use a pottery bench as a lawn, deck or patio decoration. 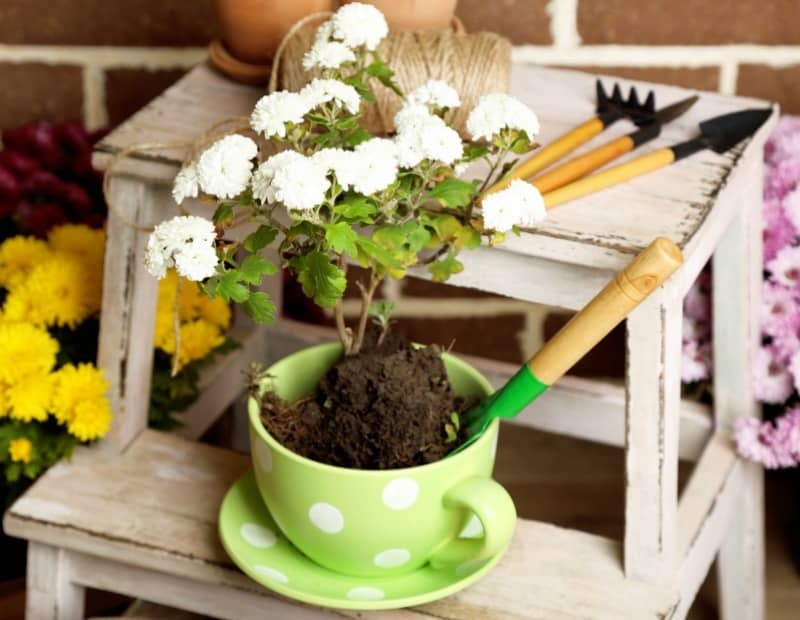 Place potted plants and other decorative pieces to brighten up and enhance any area outdoors. 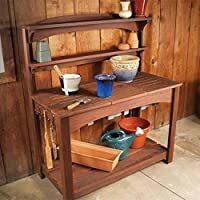 Pottery benches made of natural wood look great on a deck or wood patio, while white PVC benches can enhance a covered porch or open concrete patio. As you can see, pottery benches don’t just make gardening easier, they also make decorating your lawn and other outdoor surroundings easier.